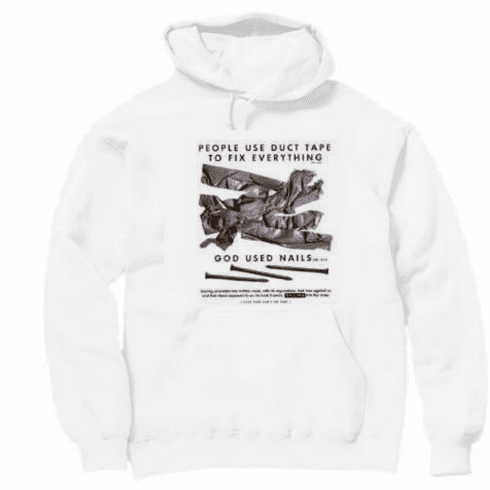 Christian Pullover Hooded Hoodie Sweatshirt People use duct tape to fix everything God used nails. Home/Our HoneVille.com Store/Christian Designs /Christian Designs page 2 /Christian Designs Page 3 /Christian T-shirt People use duct tape to fix everything God used nails./Christian Pullover Hooded Hoodie Sweatshirt People use duct tape to fix everything God used nails. Home/Our HoneVille.com Store/Christian Designs /Christian Designs page 4 /Christian Designs page 2 /Christian Designs Page 3 /Christian T-shirt People use duct tape to fix everything God used nails./Christian Pullover Hooded Hoodie Sweatshirt People use duct tape to fix everything God used nails. Home/Our HoneVille.com Store/Christian Designs /Christian Designs Page 3 /Christian T-shirt People use duct tape to fix everything God used nails./Christian Pullover Hooded Hoodie Sweatshirt People use duct tape to fix everything God used nails.